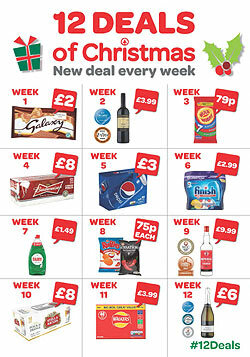 SPAR Fraserburgh officially opened its doors on Friday 20th November with a red ribbon cutting by store owners John Brown and Steve Stewart. Menzieshill Whitehall Swimming and Waterpolo Club in Dundee recently benefited from a generous £408 donation from their local SPAR stores. 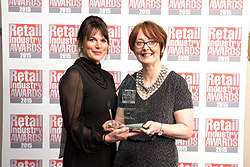 The local stores, owned and operated by Dundee based CJ Lang and Son Limited, were able to donate funds raised through the sale of single use carrier bags. 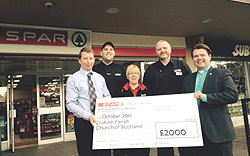 Erskine Parish Church is delighted to have received the generous donation from CJ Land and son’s Erskine SPAR store which will be going towards Erskine Parish Church roof fund. Erskine Parish Church was told the total damage caused to the church roof would cost £200,000 to fix, before receiving our cheque Erskine had already raised £23,000. 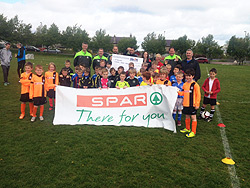 Carnoustie High School’s Mini/Midi Rugby Club recently benefited from a generous £500 donation from the town’s two SPAR stores. 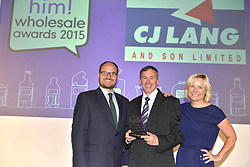 Owned and operated by Dundee based CJ Lang and Son Limited, the two SPAR stores donated the monies from the funds raised through the sale of single use carrier bags. 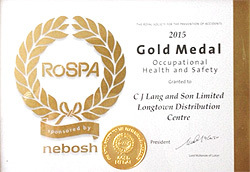 CJ Lang and Son Limited - Longtown Distribution Centre has won a Gold Medal award for achieving 5 consecutive Gold Awards in the prestigious RoSPA Occupational Health and Safety Awards.